Re-conditioned cylinder heads for sale at reasonable prices. Our machine shop is state of the art, and uses the most advanced valve reconditioning equipment. We can weld and repair damaged aluminum and steel cylinder heads. After machining we throughly clean, glass bead and polish our work, so you get a finished product ready to install. 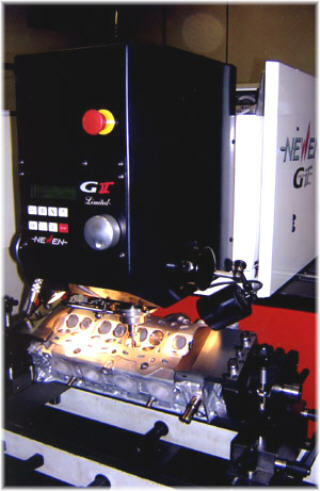 Our Newen GII fixed turning valve seat machine produces work that created a new standard in cylinder head reworking. Baltimore Headworks specializes in Marine and Automotive cylinder head remanufacturing.